The beautiful and welcoming country of Mozambique, on the east coast of Africa, benefits from many attributes that make it a fine place for a holiday. The wonderful weather, glorious Indian Ocean coastline and amazing beach resorts are just some of these, and there is much to be discovered in this quite spectacular place. With a wide choice of Mozambique holiday accommodation meaning all budgets can be catered for, the tranquillity and peace of the country can be enjoyed by all, and whether your choice of Mozambique accommodation is one of the many fine hotels or luxury lodges, you will certainly enjoy a break in this amazing place. With ideal options for family holidays, romantic breaks for two and even Mozambique honeymoons, this tropical paradise is one to consider, and with a choice of resorts on the mainland plus the truly exclusive and wonderfully remote island groups that are part of Mozambique you have a wealth of choice. Choosing your Mozambique holiday accommodation is easy to do online, and there are many resorts and packages offering excellent deals and specials. Indeed, package holidays that include a visit to one of the cities plus a stay in one of the fine beach resorts are very popular. The capital city, Maputo, is a wonderful and friendly place that still displays its Portuguese heritage, and with many excellent Maputo hotels offering fine accommodation you can enjoy this lovely place to the full. The nearby Maputo Elephant Park is a place where you can get up close to these magnificent beasts and many other exotic animals that live in the wild, and your Mozambique holiday accommodation package will give you plenty time to visit this quite memorable and enjoyable place. Many holidays in the country take in the fine Mozambique beach resorts; the Inhambane Coast, with its fine beaches and excellent choices of Mozambique holiday accommodation is one option, but many people choose to take a break in the quite fantastic islands. 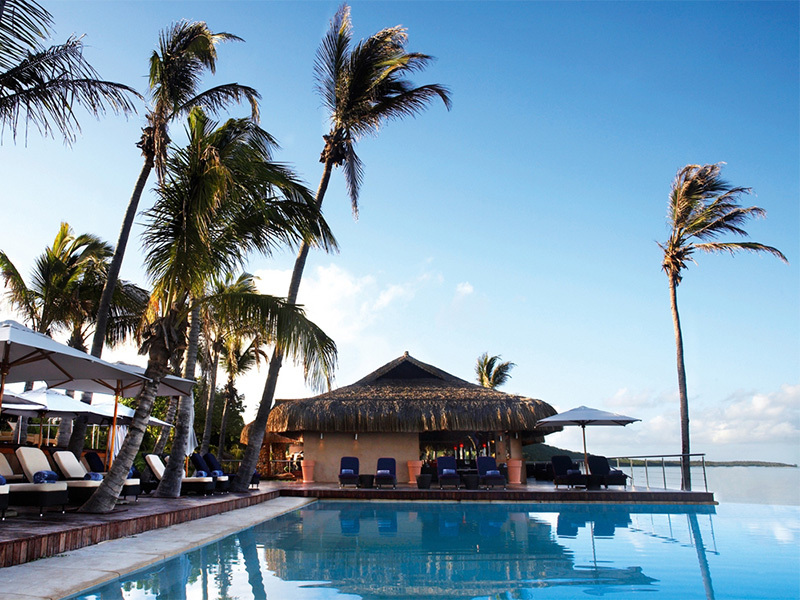 Glorious resorts such as Anatara Bazaruto, on Bazaruto Island in the Bazaruto Archipelago, or the beautiful Benguerra Lodge on the island of the same name are quite stunning places to stay and offer a genuine opportunity to enjoy a real tropical island paradise holiday. with fine diving off the islands, boat trips, fishing and more to be enjoyed, or simply to lie on the beach and enjoy the weather, Mozambique resorts are second to none when it comes to luxurious accommodation and fine facilities. Choosing your Mozambique holiday accommodation and destination may be time consuming as there really is so much to look at, but we can help you find the right package holiday in the best destinations and resorts in Mozambique. With a team of expert advisers who know the country and can help you book the best accommodation and package deal for your budget, we are the acknowledged Africa travel experts, so why not have a look now and we will help you book that dream holiday you and your family deserve?